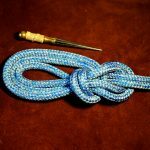 The Bowline on the Bight is tied in the bight or middle of a line, usually when both ends are inaccessible and when the strain is expected to come from both standing parts. It makes a good line sling, or boatswains chair, because the doubled loop is more comfortable to sit in than a single loop. 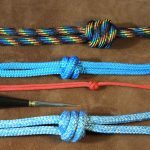 When tying a Bowline on a Bight, care should be taken to ensure that the correct loop is passed round over the two standing ends. 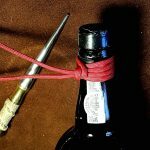 Ensure that you check the security of the Bowline on a Bight prior to using in a real life scenario. 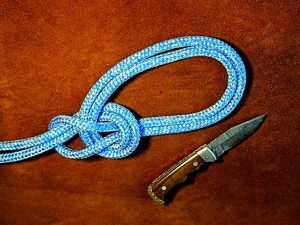 It is possible to use the wrong loop and you and up with a dangerous knot. This Bowline is also known as the Double Bowline on a Bight. 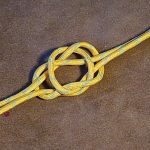 Not sure why the word Double was dropped, as there is a Single Bowline on a Bight, which yes you guessed it, only has one loop.